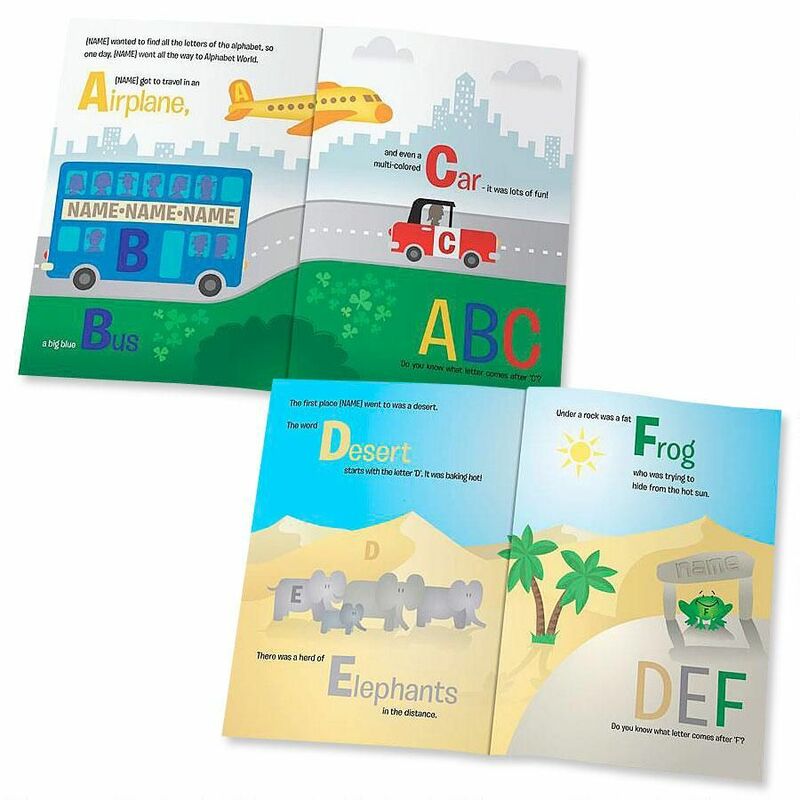 A is for airplane. P is for palace. 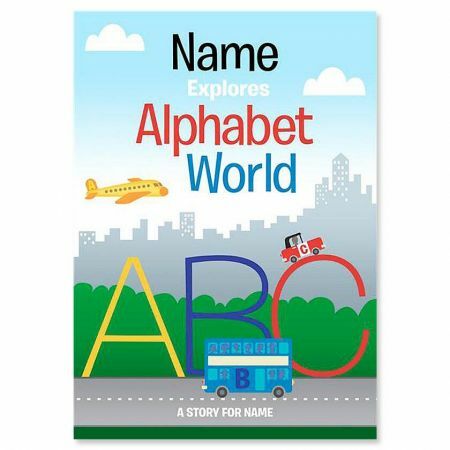 Help little ones learn their ABCs with a book full of bold, delightful characters for each alphabet letter. 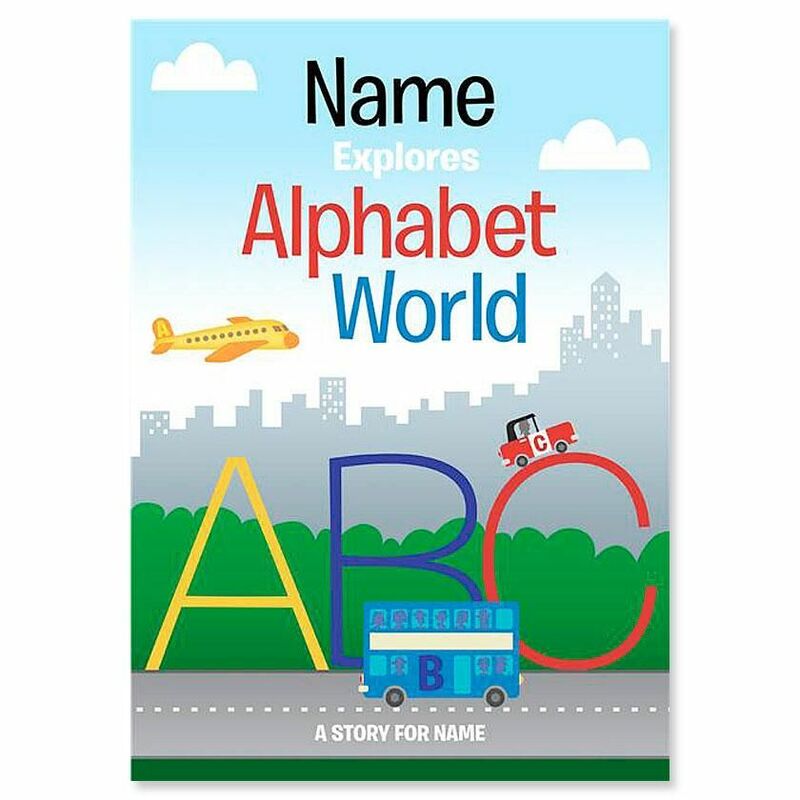 Fun, educational storybook features your child's name throughout the engaging adventure and bright illustrations. 8 1/2" x 12" with laminated cover.